That’s me wearing my very first PINK lipstick alongside my gorgeous big sister. PS. 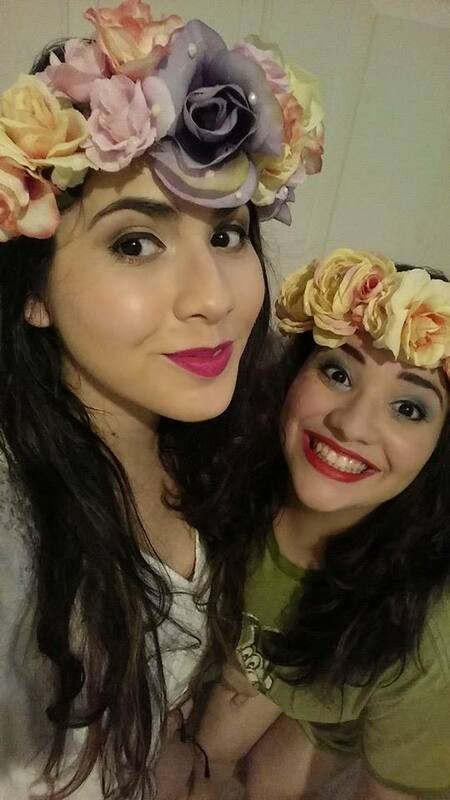 I made those flower crowns because flower crowns are awesome. I used to hate the color pink when I was younger. I didn’t like it because I thought I was expected to like it that made younger me very angry. I’ve never been good at doing things I’ve felt forced to do. I thought because I was a girl I was expected to wear and love the color pink so I didn’t. I refused. If it had any bit of any shade of pink, I wouldn’t wear it, instead, I’d wear an absurd amount of blue. I didn’t like blue. It wasn’t a color I preferred over any other. It was just my way of raging a war against what was expected of me. You can like anything you like. Your gender doesn’t make you instantly like something just because you’re that gender. Disliking a color because it’s what you think is expected of you isn’t a really good reason to dislike it. Now that I’m older, I understand that I was going about it the wrong way. I was upset because I felt obligated to like pink because I was a girl so I chose to like blue because it was a boy color. There’s nothing wrong with either of these colors. What I was upset with was that each color was prescribed a gender. Pink is a beautiful color. If I like those pink shoes, I’m going to buy them. Why? Because those pink shoes will look amazing on my two feet. If I happen to need that gorgeous blue shirt I just saw online? I’m going to buy and wear the crap out of it. Why? Because blue is a fantastic color and I’m going to rock it. Hey, why not wear both at the same time and look amazing? I will because I can because colors are for everyone. I no longer have a favorite color. I love every single color. Well said 🙂 A color should just be a color, and things like gender shouldn’t be attached to it.